The next generation wireless cellular network is aimed to address the demands of users and emerging use cases set by industries and academia for beyond 2020. Hence, The next generation 5G networks need to achieve very high data rates, ultra-high reliability, extremely low latency, energy efficiency and fully connected coverage. To meet these demands, ultra-dense networks (UDN) or ultra-dense heterogeneous networks (UDHetNet), millimeter wave (mmWave) and multicell cooperation such as coordinated multipoint (CoMP) are the three leading technology enablers. 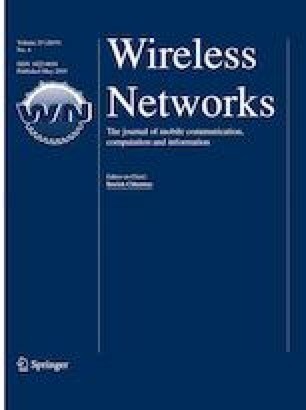 In this paper, we have made an extensive survey of the current literature on 5G wireless communication focusing on UDN, mmWave and CoMP cooperation. We first discuss the architecture and key technology enablers to achieve the goals of the 5G system. Subsequently, we make an in-depth survey of underlying novel ultra-dense heterogeneous networks, mmWave and multicell cooperation. Moreover, we summarize and compare some of the current achievements and research findings for UDHetNet, mmWave and CoMP. Finally, we discuss the major research challenges and open issues in this active area of research. Ericsson, “Ericsson Mobility Report”. 2016. [Online]. Available http://www.ericsson.com/res/docs/2015/mobility-report/ericsson-mobility-report-nov-2015.pdf. Accessed 26 March 2016. Rakon, “Small Cells Solutions,” 2015. [Online]. Available http://www.rakon.com/products/technical-resources/tech-docs. Accessed 15 August 2017. Qualcomm, “1000x Data Challenge,”. 2014. [Online]. Available https://www.qualcomm.com/invention/1000x/tools. Accessed 15 August 2017. 3GPP, “3GPP TR 36.819 version 11.2.0: Coordinated multi-point operation for LTE physical layer aspects,” 09 2013. [Online]. Available http://www.3gpp.org/DynaReport/36-series.htm. Accessed September 2016. Ericsson, “5G systems,” January 2017. [Online]. Available https://www.ericsson.com/assets/local/publications/white-papers/wp-5g-systems.pdf. Accessed 12 August 2017. 3GPP, “3GPP TS 38.300 V15.0.0 NR; NR and NG-RAN Overall Description; stage-2; Release-15,” 2018. [Online]. Available http://www.3gpp.org/DynaReport/38-series.htm. Accessed 3 2018. 3GPP, “3GPP TS23.501 V15.1.0: System Architecture for the 5G System (Release 15),” March 2018. [Online]. Available http://www.3gpp.org/DynaReport/23-series.htm. Accessed April 2018. 3GPP, “3GPP TS32.500 V14.0.0: Telecommunication management; Self-Organizing Networks (SON); Concepts and requirements,” April 2017. [Online]. Available http://www.3gpp.org/DynaReport/32-series.htm. Accessed April 2018. 3GPP, “3GPP TS32.501 V14.0.0: Telecommunication management; Self-configuration of network elements; Concepts and requirements,” April 2017. [Online]. Available http://www.3gpp.org/DynaReport/32-series.htm. Accessed March 2018. 3GPP, “3GPP TS32.541 V14.0.0: Telecommunication management; Self-Organizing Networks (SON); Self-healing concepts and requirements (Release 14),” April 2017. [Online]. Available http://www.3gpp.org/DynaReport/32-series.htm. Accessed April 2018. 3GPP, “An Interview with Philippe Reininger—RAN3 Chairman,” May 2015. [Online]. Available http://www.3gpp.org/news-events/3gpp-news/1684-ran4. Accessed March 2018. ETSI, “Microwave and Millimetre-wave for 5G Transport,” February 2018. [Online]. Available http://www.etsi.org/technologies-clusters/white-papers-and-brochures/etsi-white-papers. Accessed April 2018. Ding, M., David, L. P., & Guoqiang, M. (2017). “A new capacity scaling law in ultra-dense networks,” in arXiv preprint arXiv:1704.00399, 2017. Nokia, “Ultra Dense Network (UDN),” (2016). [Online]. Available https://resources.ext.nokia.com/asset/200295. Accessed 4 August 2017. 3GPP, “3GPP TR 36.842 V12.0: Study on Small Cell enhancements for E-UTRA and E-UTRAN; Higher layer aspects,” December 2013. [Online]. Available http://www.3gpp.org/DynaReport/36-series.htm. Accessed July 2016. SCF, “Backhaul Technologies for Small Cells,” February 2013. [Online]. Available https://www.smallcellforum.org/. Accessed January 2018. Ericsson, “Ericsson Microwave Outlook: Treands and needs in the microwave industry,” December 2017. [Online]. Available https://www.ericsson.com/assets/local/microwave-outlook/documents/ericsson-microwave-outlook-report-2017.pdf. Accessed March 2018. 3GPP, “3GPP TR 38.900 V14.3.1: Study on channel model for frequency spectrum above 6 GHz,” July 2017. [Online]. Available http://www.3gpp.org/DynaReport/38-series.htm. Accessed March 2018. 3GPP, “3GPP TR 38.901 V14.3.0: Study on channel model for frequencies from 0.5 to 100 GHz,” January 2018. [Online]. Available http://www.3gpp.org/DynaReport/38-series.htm. [Accessed March 2018]. 3GPP, “3GPP TR 36.741 V14: Study on further enhancements to Coordinated Multi-Point (CoMP) operation for LTE,” 23 March 2017. [Online]. Available http://www.3gpp.org/DynaReport/36-series.htm. Accessed 18 August 2017. 3GPP, “3GPP TS 36.300 V14: Evolved Universal Terrestrial Radio Access (E-UTRA) and Evolved Universal Terrestrial Radio Access Network (E-UTRAN); Overall description; Stage 2,” September 2016. [Online]. Available http://www.3gpp.org/DynaReport/36-series.htm. Accessed October 2016. 3GPP, “3GPP TS 36.331 Release 14: Radio Resource Control (RRC) protocol specification,” 26 September 2017. [Online]. Available http://www.3gpp.org/DynaReport/36-series.htm. Accessed July 2017. 3GPP, “3GPP TS 36.211 version 14.0: Evolved Universal Terrestrial Radio Access (E-UTRA); Physical channels and modulation,” 09 2016. [Online]. Available http://www.3gpp.org/DynaReport/36-series.htm. Accessed February 2016. 3GPP, “3GPP TS 36.420; X2 general aspects and principles,” March 2017. [Online]. Available http://www.3gpp.org/DynaReport/36-series.htm. Accessed 14 July 2017.